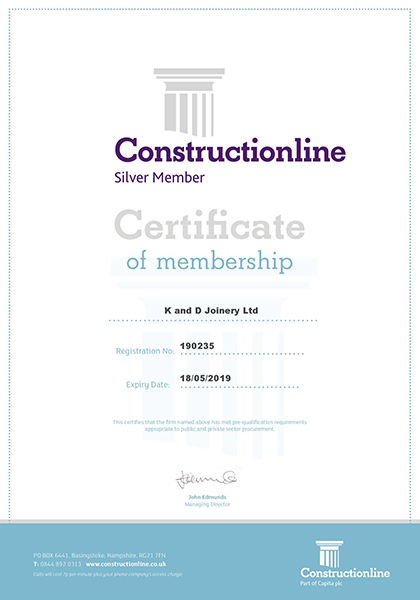 Following on from our CHAS accreditation for Health and Safety, we have now become accredited to Acclaim – Construction line from July 2018. 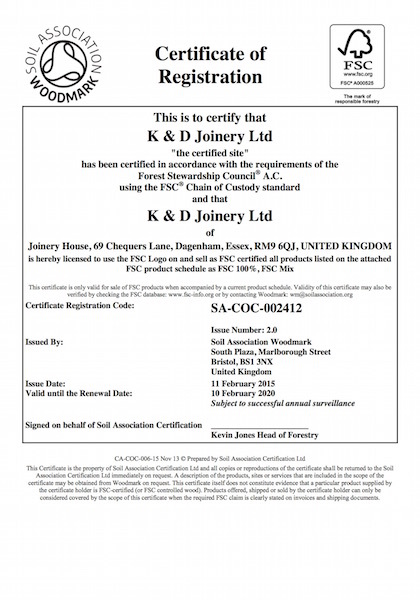 We have again gained accreditation of FSC® and PEFC and FENSA, and continue to believe it is of a fundamental benefit to the Company. 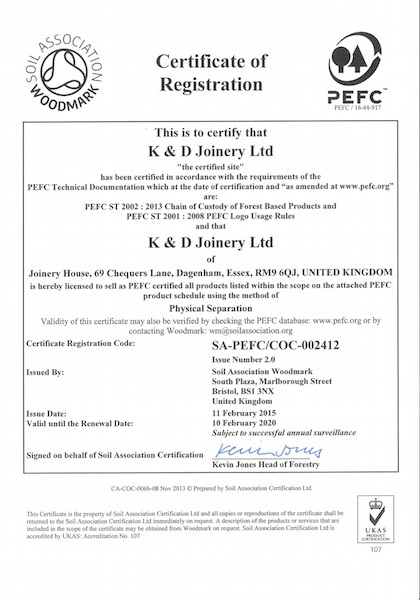 FSC Mix and 70% PEFC. 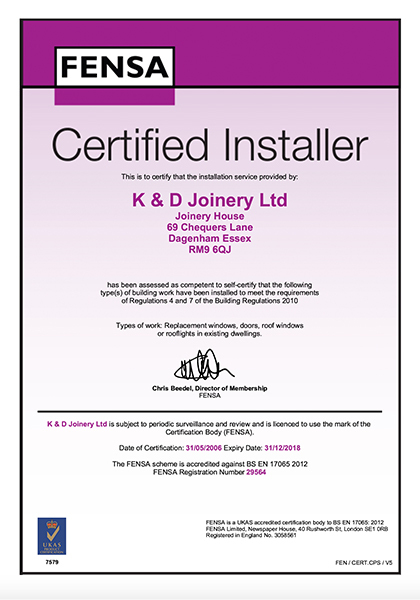 We ensure our staff are fully trained to understand the requirements of FSC and PEFC accreditation and further they understand the benefits of minimising waste. 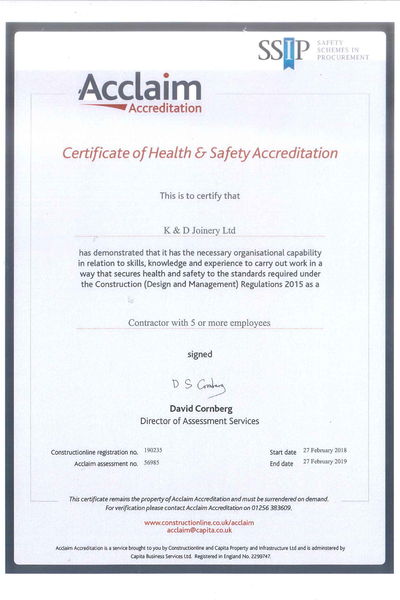 This has improved our manufacturing effectiveness to the benefit of the Company and our clients. 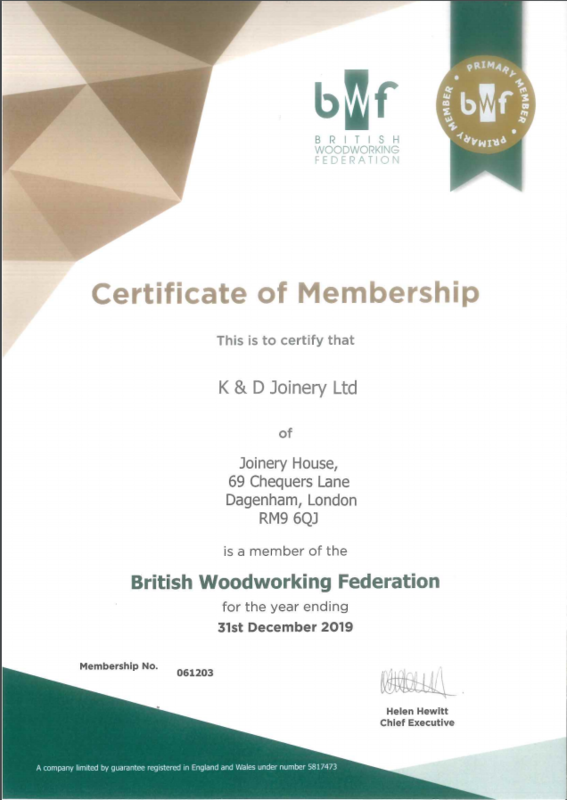 We are members of the British Woodworking Federation and have the full use of their knowledge base.